There are several tools out there that you can use to remotely access your computer. I have actually tried some of them in the past but recurring glitches were their main weaknesses. 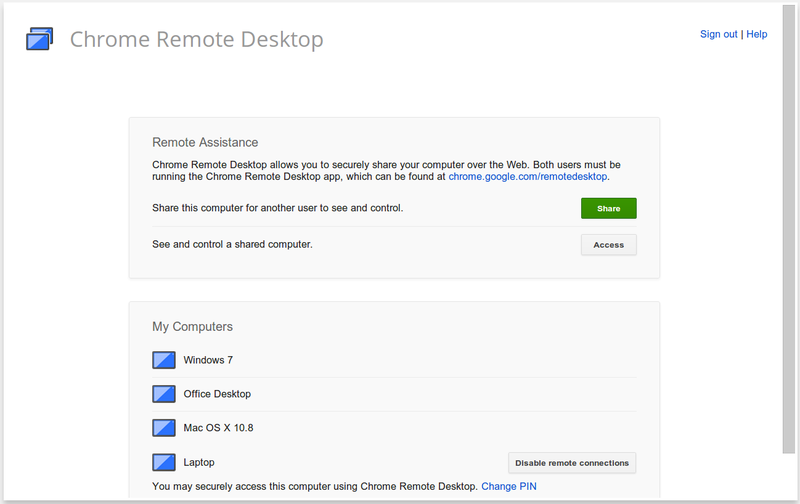 Instead, Chrome Remote Desktop provides a very powerful alternative to these tools. This is an app created by Google engineers (so no worries about security issues) which enable you to access your Mac, Windows computer, or even Chromebook from another device and right from your Chrome browser. 2- Enable remote access to your computer. 3- Protect your computer with a PIN. To learn how to access and share your computer, this page has a detailed step-by-step guide to help you out.